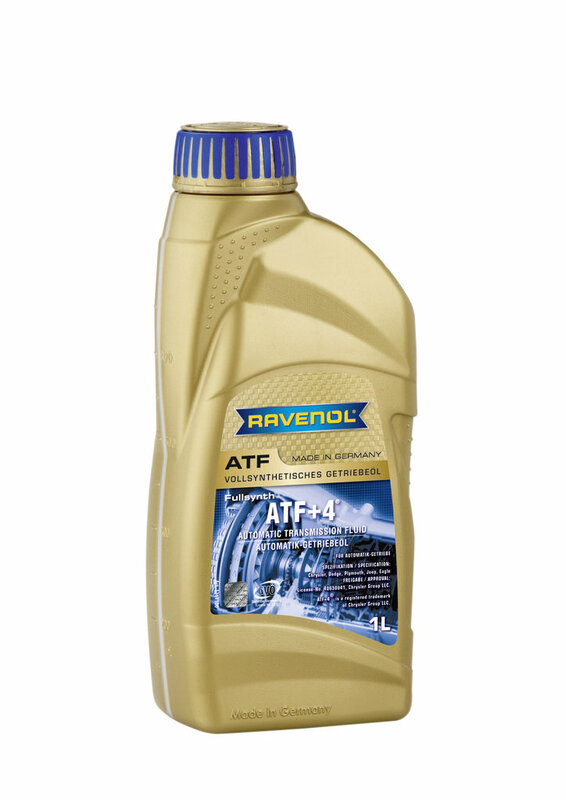 RAVENOL ATF+4 Transmission Fluid is a synthetic, licensed Automatic Transmission Fluid (ATF) with a unique additive package for Fiat-Chrysler, Jeep and Dodge (Chrysler Group) automatic transmissions. The special formulation guarantees maximum wear protection in all operating conditions and extends the life of both the fluid and the transmission compared to older formulations. RAVENOL ATF+4 is approved and licensed (Licence No. 40630041) by Fiat-Chrysler to ensure warranty compatibility (FCA US LLC). It is also miscible and backwards compatible with the requirements of all ATF+2 or ATF+3 transmission oil applications where required.